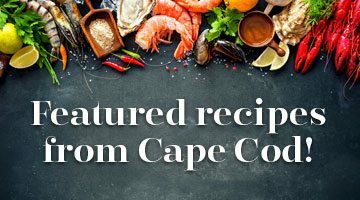 Editor’s note: This is the 1st in a series of articles covering the region’s dramatically changing coastline. Click here to see all of the articles. It will be a long time before the winter of 2014-2015 is forgotten in these parts. In November, snowstorms began to dump record amounts of the white stuff on communities across Massachusetts, including Cape Cod and the Islands. For some areas, particularly those with existing erosion concerns like Sandwich, the severe weather could not have come at a worse time. Nor’easters in November and December were damaging, but the January 26 to 28 blizzard was brutal. 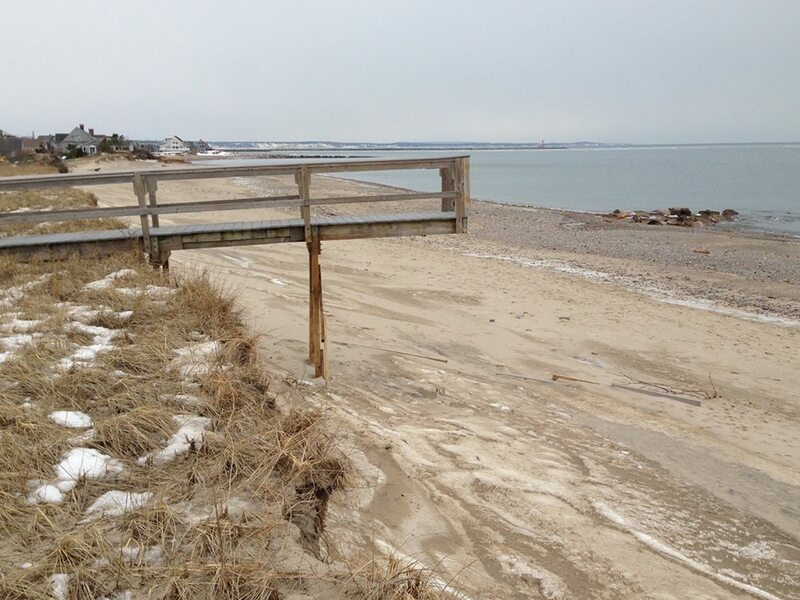 Prior to the blizzard, Sandwich had spent about $78,000 in December and January to dump and spread 2,000 cubic yards of sand in efforts to shore up an approximate, 100-foot breach in the dunes at Sandwich’s Town Neck Beach—just east of the Sandwich Boardwalk. After the blizzard, though, not only was most of that sand washed off the dune, but also it was dumped into Mill Creek, which runs behind the barrier beach. A tidal waterway that brings fresh water from Shawme Lake together with salt water from Cape Cod Bay, Mill Creek was completely clogged by the sand, and excavators were brought in to reconnect the waterway. The same storm also eroded 20 feet of the dune in front of the Sandwich Boardwalk, and caused some damage to the boardwalk itself. To the west of the boardwalk—closer to the canal—residents of Bay Beach Lane have been dealing with erosion for some time. A group of three homeowners on the street have even privately paid for about 450 feet of Town Neck Beach in front of their homes to be protected by a “coir envelope system,” where long rows of tubes filled with biodegradable, coconut fiber mats, are spread across the beach in hopes of stemming further erosion. Workers laid out the materials in December and January, and the barrier held up in January’s blizzard. Just blocks away, though, several homes on White Cap Path and Freeman Avenue incurred substantial damage during the blizzard. In the Springhill Beach neighborhood—to the east of the Old Harbor Inlet—more homes were damaged, and at least two were condemned. Many in Sandwich blame the man-made jetties at the east end of the canal for blocking sand that, assumedly, would have been swept along the coast to replenish Town Neck Beach. Regardless of the extent to which the jetties have caused the problem, it has been a long time coming, and town officials and many residents are being compelled to address it. The U.S. Army Corps of Engineers, which manages the canal and maintains the jetties, is conducting studies to determine if material dredged from the canal—a project the corps has proposed for potentially later this year—would benefit Town Neck Beach were the material to be dumped there. In that event, the army corps has requested Sandwich share some of the project’s cost. As one might imagine, Town Neck Beach has been a major topic of discussion and debate in Sandwich in the past few months; the town hosted a public forum about the beaches in February, and state and town officials have been visiting the beach regularly. Some predict Town Neck will be reduced to nothing but a shoal; others say if the town does not do what it can to help rescue the imperiled homes along the coast, the remainder of the town would, should the worst happen, have to shoulder the real estate tax burden currently paid by the owners of the homes in harm’s way. Some businesses in town, including those on historic Main Street, are also in a precarious position in a storm tide. 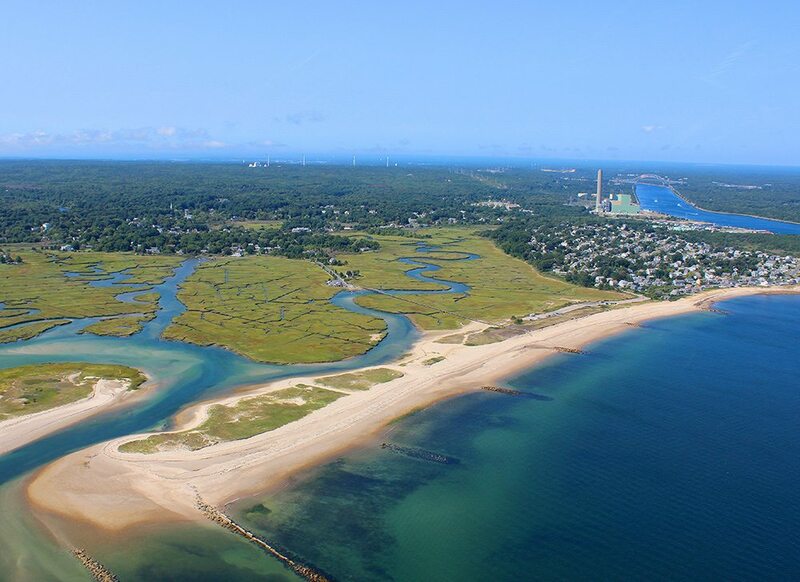 In late February, voters at Special Town Meeting in Sandwich approved a re-appropriation of $1 million in Community Preservation Act funds for beach restoration as well as the town’s share of the bill should the dredging project move forward. Voters at the meeting also approved a proposal brought by petition requesting about half of the funds raised by a local meals tax in Sandwich—about $150,000, annually—be used to set up an emergency beach fund. As of the publishing date of this issue, the proposal awaited approval from the state legislature. If you would like to learn more about these issues—or how you can help—visit trusteesofsandwichbeaches.org.